After four practice sessions it was time to get down to business. Derek Jones(73), Mike Lamara(37), and Nate Norenberg(52) set out to put all of the practice time to good use. The 73 car in particular was one MINI fans were keeping a good eye on. Consistently the strongest car last year and after having the fasting practice time in the ST class hopes were high for a podium. All three drivers put in strong efforts, at times drafting around the world center of racing. In the end Jones finished with the highest qualifying position of third. 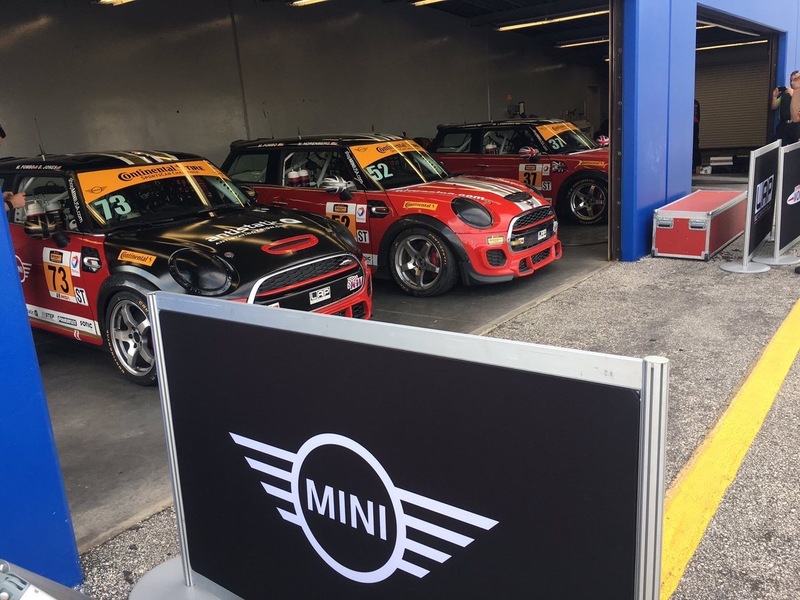 But the MINI JCW team looks like it’s going to have three very competitive cars this season as Lamara and Norenberg also qualified in the top ten. The good starting positions will surely help the team at the start of the race. The team’s chances look good for tomorrow’s BMW Endurance Challenge. Be sure to tune into the live stream at 12:15 PM EST on IMSA.tv.